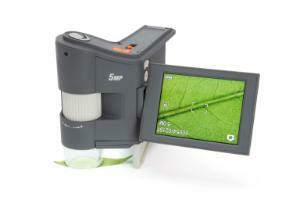 Handheld digital microscope with integrated 3-inch full color TFT LCD screen that flips out and rotates 270 degrees. This compact yet powerful digital microscope is the perfect companion for up-close observation on the go. 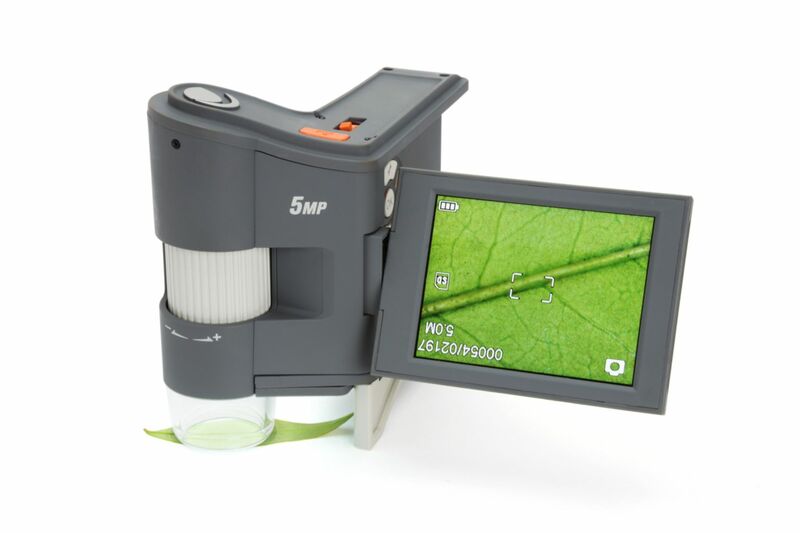 The onboard 3-inch, full color TFT LCD screen flips out when you need it, then folds back into the microscope body for portability. A rechargeable lithium ion battery provides hours of viewing time in the classroom or on a nature walk. FlipView, with its 10x to 120x magnification is a low-power microscope perfectly designed for viewing an array of 3D specimens, from beach sand to bugs, coins and currency, documents, circuit boards, and more.